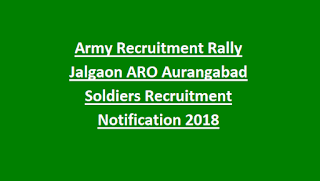 Candidates applying for Soldier Jobs under General Duty must not exceed the upper age of 21 years while applicants applying for rest of the cadres must lie between 17 ½ years and 23 years as on 01-09-2018. Soldier Aviation/Ammunition Examiner: Passed 12th class with Physics, Chemistry and Mathematics as main subjects. Candidates qualifying the Physical Fitness Test will be put through a brief Medical Examination. Candidates interested to Serve Indian Army as Soldiers must fill the online application form through the official website http://www.joinindianarmy.nic.in/, registration process of which will last till 4th November 2018. 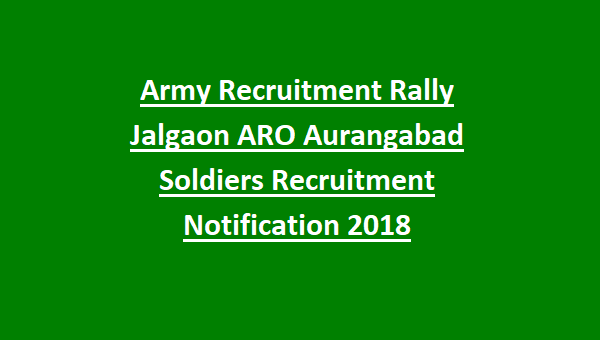 Candidates interested to participate in the Army Recruitment Rally at Jalgaon, Maharashtra for Soldiers Post can refer the official notification.